Hello everyone, and welcome to the another edition of MEMEnto Merry. One word defines this week’s topic and that is Random. Shakespeare, in a sense, is all about an orderly world that slowly becomes chaotic. Then it becomes ordered yet again through all the seemingly random choices made throughout his plays. So, I though we would explore that randomness with Shakespeare memes. 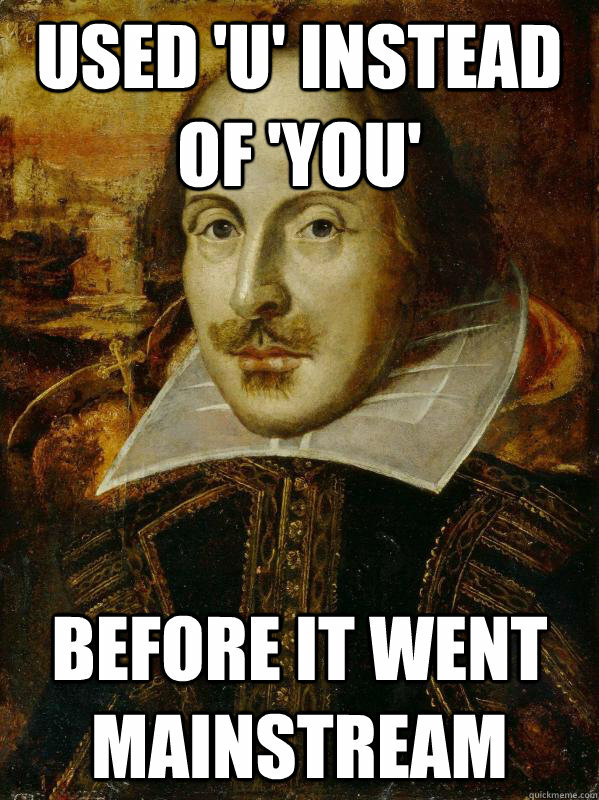 It is a Random Ream of Memes about Shakespere. So without further ado, here is this week’s MEMEnto Merry. Created on memegenerator.com for MEMEnto Merry. Created by Steven Van Overbeke for The Shakespeare Standard. The Purrrfect Question Created on memegenerator.com by Steven Van Overbeke for Memento Merry. Created by Steven Van Overbeke for The Shakespeare Standard. Created by Steven Van Overbeke for MEMEnto Merry on memegenerator.com. Created for The Shakespeare Standard. I hope everyone enjoyed the random memes that were both found and created this week. See you all next week, when I will be back with more memes.